How PC Repair Tool Improve PC’s Performance? 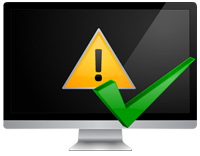 Fix System Errors: It thoroughly cleans all the system errors that cause freezing, crashes, slowdown and degradation of PC performance. Remove Malware: This tool is also able to deal malware executing in active process and also removed malicious things from Internet privacy files. Improve Startup Problems: Sometimes PCs/Laptops start taking more time to boot. If you are suffering from this issue then don’t worry as you can easily get rid of this issue with the help of this tool. Defrag Memory: Boost your system performance by defragmenting HDD, it is one of the necessary thing that you must do in order to improve PC’s performance. 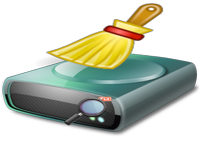 Clean PC: This tool will get rid of temporary items, junk files and other clutter that slows down your system. PC ERROR REPAIR tool will delete all types of junk files and help PC to run smoothly. 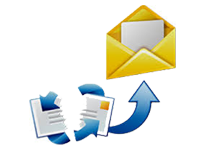 Fix Outlook Express Errors: Outlook Express is known for having bugs, but you can fix all these error very easily. This tool is able to deal with corruption of mailbox files, corrupted registry entries or conflicts with other programs and more. COM/ActiveX: Invalid entries of COM or ActiveX object in the Windows registry cause application failures, document and information loss, and crash of system. This Tool scans and removes these entries automatically. Uninstalls the Entries: If the installer doesn’t set the un-installation process, then the registry database gets clogged with invalid entries. This Tool finds the registry for invalid information and fixes them. Font Entries: The word processing applications may often cause application errors that are appeared because of the missing or corrupt font files. This Tool helps to resolve these inconsistencies by ensuring that font files take up space in the registry are valid. 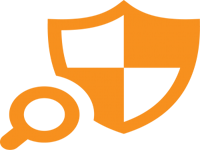 Shared DLLs: In registry if there is invalid entries in Shared DLL’s then it may cause certain type of application failure which is commonly known as “DLL Hell”. PC Repair Tool helps to repair and restoring the Registry automatically. Application Paths: the disk directories that are not referenced correctly can lead to failure of programs. This Tool scans and fixes then Application Paths section of the Window registry. Help Files Information: When you are looking for help on an application and it is about to crash. This Tool takes care of these invalid file references. Windows Startup Errors: PC Repair Tool quickly finds and deletes the missing programs entries from the startup items area of Windows registry. The incorrect installation programs cause’s system problems. File/Path References: Some of the registry items that is associated with non-existent files and folders-temporary files that are used for storage. This Tool helps you to remove invalid entries you scanning the system. Program Shortcuts: The incorrect shortcuts that can cause the applications and prevent the execution process. This Tool finds these entries and removes them for you. Empty the Registry Keys: This Tool helps you to remove all the Registry Keys that have no value, sweeps out the useless entries that clogs up the system. Shell Extensions: The Shell extension provides you with useful enhancements with the working of environment of your PC. The invalid entries cause irregularities that frustrate and slow your system down. This Tool scans and finds these entries so that it can remove them permanently. Custom Scans: You can customize the This Tool to let it scan your registry by selecting only the items that you want to be scanned. Automatic Scanning: This Tool can create schedules by which you can scan registry automatically time by time according to your requirement. With the scheduling feature you can set more than one schedule to run daily, weekly, monthly, at system startup, and more. Ignore List: This Tool offers you the ability to ignore items that can detect the registry by scanning. By this way you can ignore the subsequent scans. You can even manage what items to scan and remove in the future. Automatic Repair: This Tool lets you to perform automatic repair of detected items after scanning. You can configure the settings so that repairing of detected items can occur after scanning each. Backup and Restores: This Tool creates an automatic backup by which you can restore items anytime. 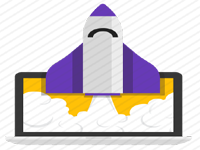 Startup Management: This tool quickly and easily accesses all the programs that get launched when you start your system. 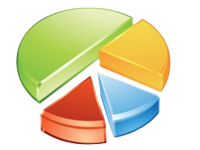 You can enable and disable these applications at Manage Startup list in few clicks. Internet Optimizer: It has a built-in function that will easily optimize your Internet connection and make the Internet speed faster and more secure. It will analyze the computer’s configuration and also optimize your connection setting in order to match your hardware and software. Service Manager: Windows is a complex operating system that runs hundreds of services. Mostly home computers don’t need advanced services for office and networking use. The built-in Service Manager will analyze your way of operating computer and apply the optimal services configuration. Registry Defragmenter: The Windows registry is a complicated database whose function is to store all Windows settings in a structured manner. The registry becomes bloated as the time passes. The speed of the computer becomes slow because the registry is fully kept in computer memory. 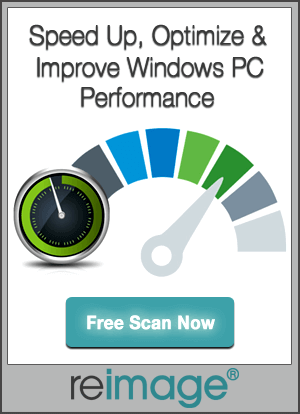 The Registry Defragmenter of this tool makes the registry more compact and it results in faster registry access and speed up Windows System Performance. Backups: It backs up all the settings before performing any actions. The program becomes completely safe to use because you can always make the changes disable made to your system settings.